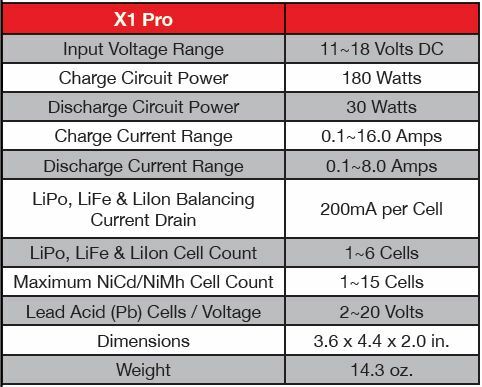 The Hitec X1 Pro DC/DC battery charger delivers a powerful 180 watts to Lithium-based, NiCd, NiMH and Lead-Acid batteries. With an adjustable charge current rate of 0.1~16 amps, this single port powerhouse provides exactly what a hobbyist demands in the workshop, at the field or in the pits. 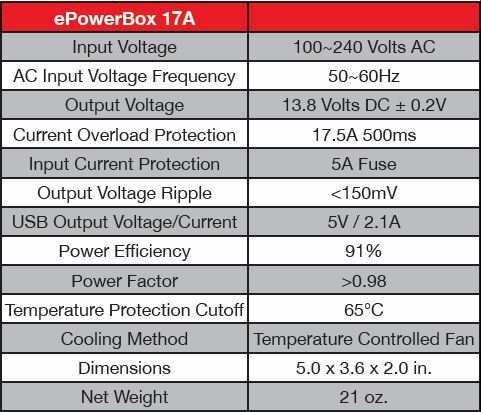 For the ultimate in convenience, the X1 Pro design can be docked with the Hitec ePowerBox 17A power supply.This extremely efficient power supply converts 100~240 AC volts into 17 amps of continuous 13.8 volt DC power, making it compatible with a wide variety of DC chargers. Available as separate, stand-alone units or as a cohesive and innovative combination, Hitec’s X1 Pro and ePowerBox 17A let hobbyists take their charging to the next level.